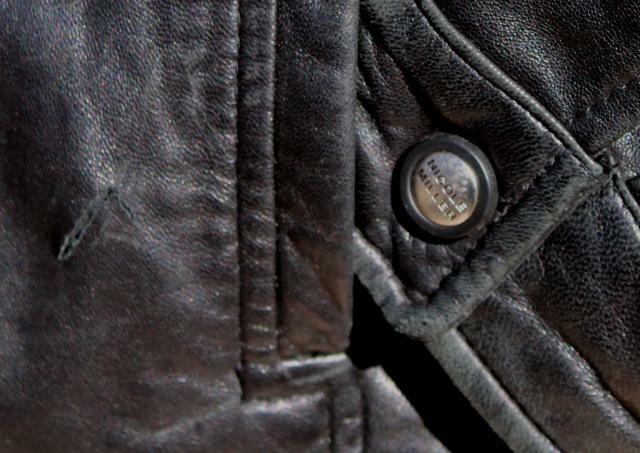 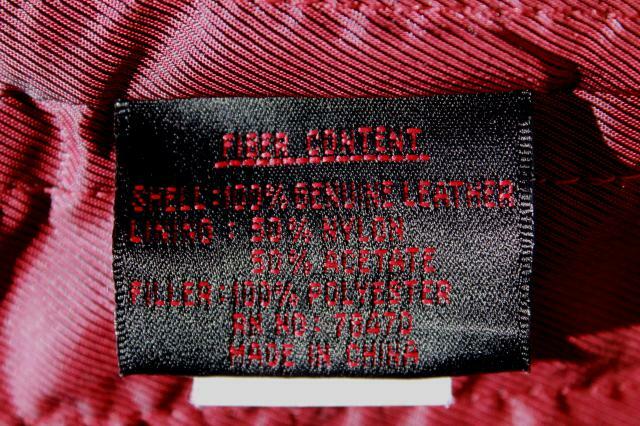 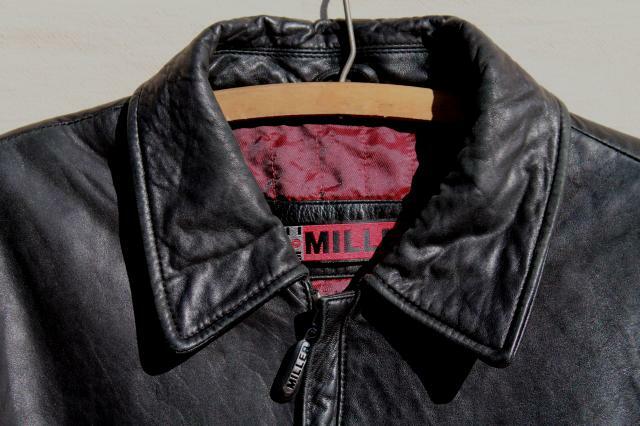 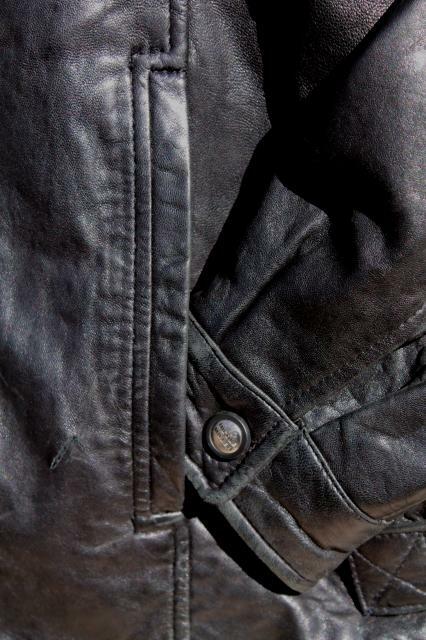 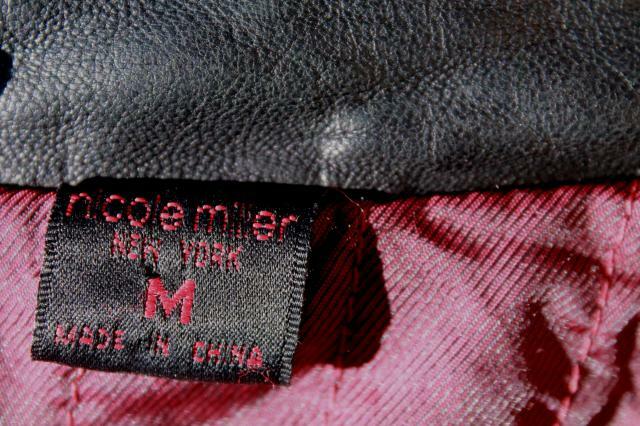 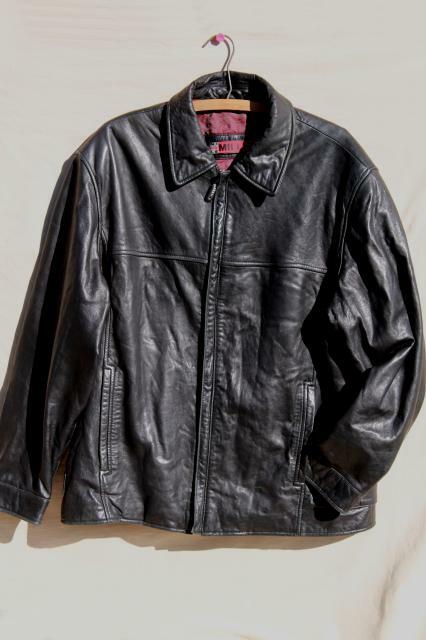 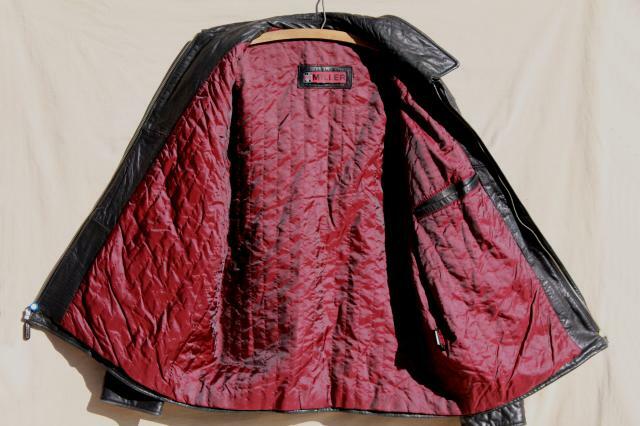 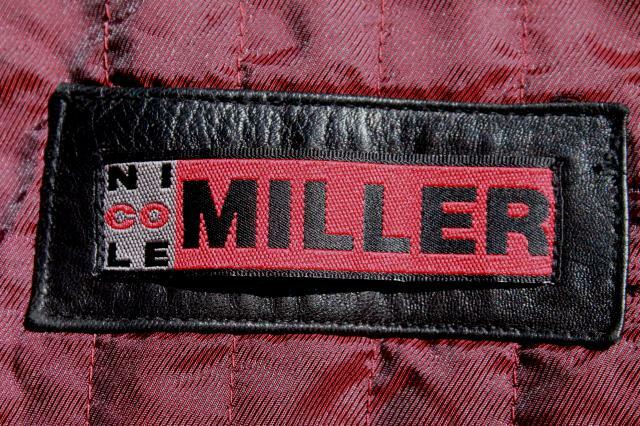 90s vintage men's medium black leather jacket, Nicole Miller label. 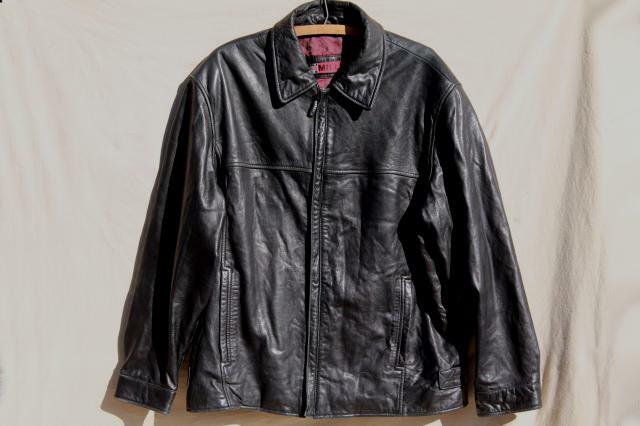 This is used but in good condition overall - some scuffs and wear, a small rip by the pocket. 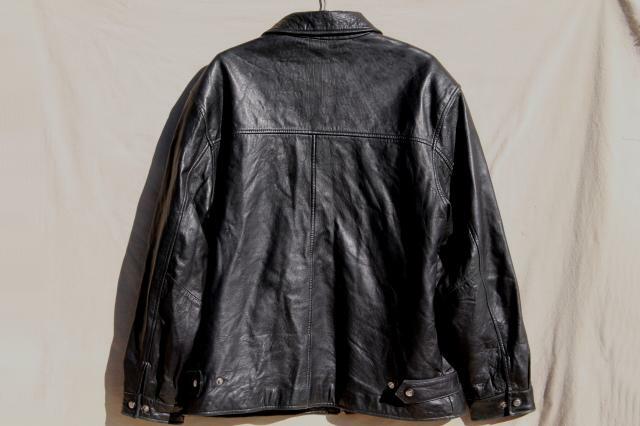 It's clean, from a non-smoking estate. 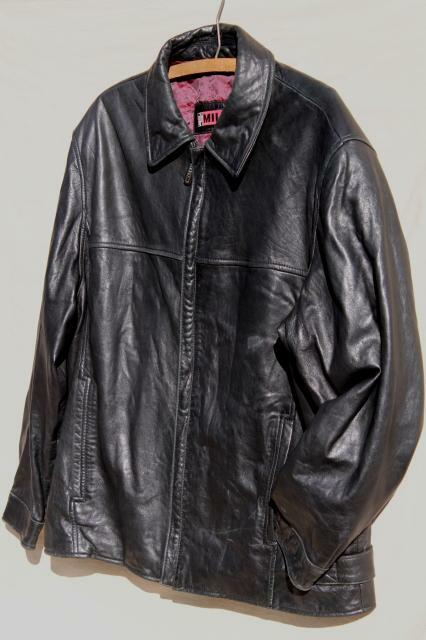 Garment measurements are 48" at the chest, 20" across the shoulders, 27" long from the shoulder down, 18" sleeve length under the arm.